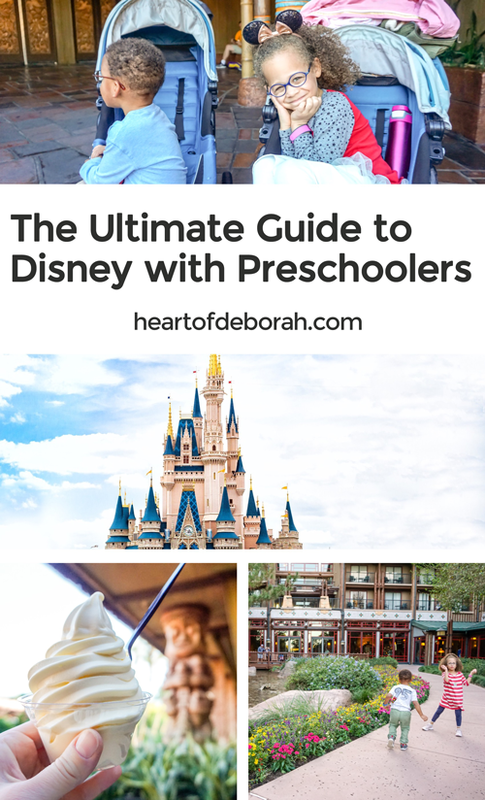 The Ultimate Guide to Disney With Preschoolers: Tips to Help You Plan! Walt Disney World is a magical place. But when is the best time to take your kids? Are preschoolers too young to truly enjoy all that Disney has to offer? We recently got back from our kid’s first trip to Disney World and it honestly couldn’t have gone better. 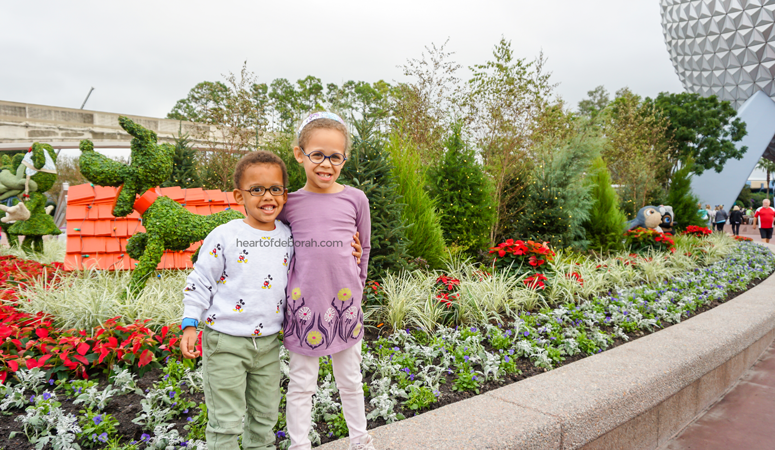 In this post I’m sharing all my secrets to make your first trip to Disney go smoothly. I also focus on how we planned our trip with preschoolers in mind. Thank you Walt Disney World for partnering with us and providing complementary Park passes for the day! 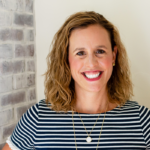 This post may contain affiliate links for products we use and love. First, it’s all about the planning. I cannot stress this enough. It seems crazy, but to get the most out of your trip you want to start planning at least 8 months in advance. If you stay on Disney property, starting 180 days in advance of your arrival date you can book dining reservations for your entire length of stay. You can make Fastpass+ selections 60 days from your first day. The morning we could make reservations my husband and I pulled up the Disney website on the laptop and we both had the My Disney Experience app (you MUST download this) on our phones. As soon as we could start making reservations, we did. To increase your chances of getting those difficult reservations you should book as soon as you possibly can. Also try to schedule the harder to get rides and restaurants for later in your trip. Since you can book for your entire length of stay you have an increased chance of finding openings later on. Before we made any reservations I wrote out a schedule for each day. 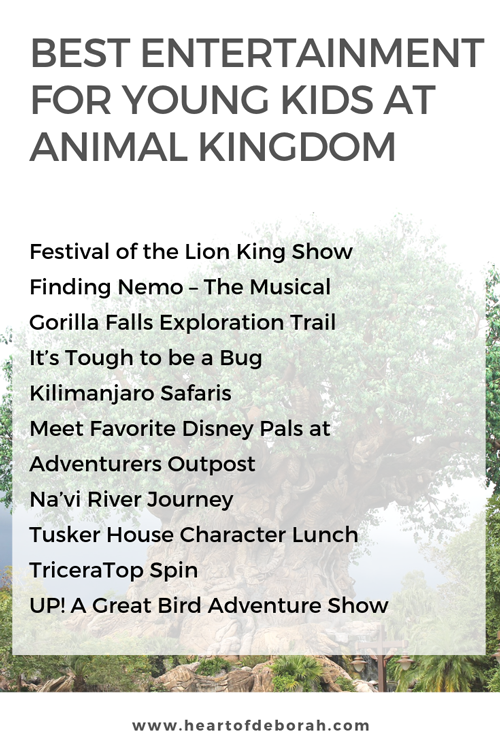 I included the 3 rides we wanted to Fastpass+ (plus alternatives) and restaurants we wanted to book (plus a few alternatives in case our top choices weren’t available). Then I prioritized which reservation we would try to book first. First on our list for dining was Cinderella’s castle. First on our list of Fastpass+ was Frozen Ever After. TIP!! 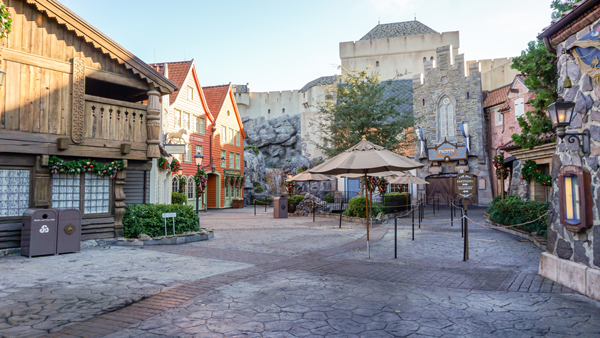 We had breakfast at Akershus Royal Banquet Hall in EPCOT before the park opened. We were able to get on Frozen Ever After right away when we finished breakfast. I included our family’s list of top rides and activities at the bottom of this top if you want to download it. But be sure to read point number two before you plan your Disney vacation. If you have specific questions feel free to post in the comments below! My second Disney tip is make it your own. After reading about all the planning you may start to feel overwhelmed. It is a lot of work upfront, but once you get there it is so freeing to have all of that taken care of! I also had a great friend remind me during my planning phase “your vacation doesn’t need to look like someone else’s vacation.” Make it your own. If your kids aren’t in to thrill rides, then skip them and don’t feel bad about it! If you’d rather eat at all counter service restaurants, then do it. Don’t give in to the social media pressure to create this “perfect” vacation. Every family will have a different plan and that is okay. Decide what is most important to you and your family. Ask your kids what they are most excited about. Is there a certain ride or character they are hoping to meet? Our kids were so much more excited to meet the characters than I thought they would be. Remember there is so much more to the Disney experience than just the rides. It’s about the food, parades, atmosphere, character experiences and shows too! 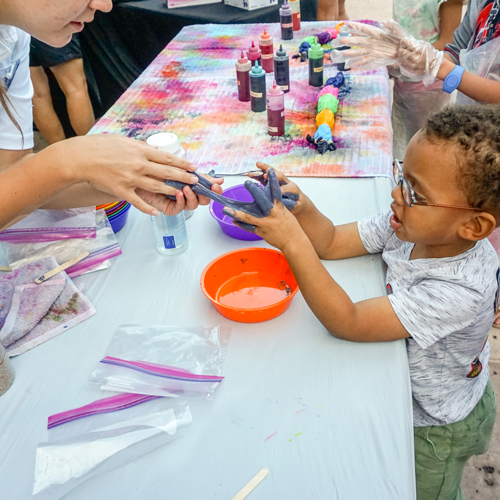 Our resort even had kid’s activities such as tie dye t-shirts and slime. Making slime at the Wilderness Lodge! 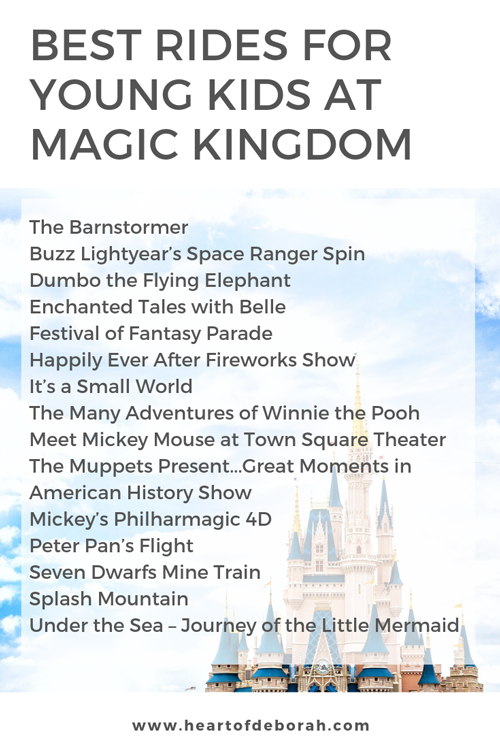 As you can see on our family’s lists at the end of this post we didn’t include the Haunted Mansion or Pirates of the Caribbean on our Magic Kingdom to-do list. We had a feeling our kids would be scared and we don’t love the rides ourselves, so we just skipped it. It’s up to you! On our last day at the park our kids were just pooped and starting to lose it. We decided to cancel our last Fastpass+ and head back to the resort. It was one of the best decisions we made! We knew we wanted to go back to the fireworks that night and our kids needed some down time. If your kids are tired, don’t push it. Find a quiet area at the park or head back to your hotel for a bit. This is one of the perks of staying on property. We could get back and forth very easily and it was so worth it. Third, be prepared with snacks when hunger hits your little one! Before we left we invested in stainless steel water bottles. It was one of the best purchases we made ahead of time. Our kids got so thirsty from walking around and spending the day in the sun. We filled them up every morning at our hotel and it was so convenient to have them in the stroller throughout the day. We also brought snacks along with us and used the Amazon Prime Now app to order groceries to our room. It was so much easier than I thought and the groceries arrived in two hours, free with Amazon Prime! If we ran out of snacks or wanted something different we used the My Disney Experience app to order food ahead of time. 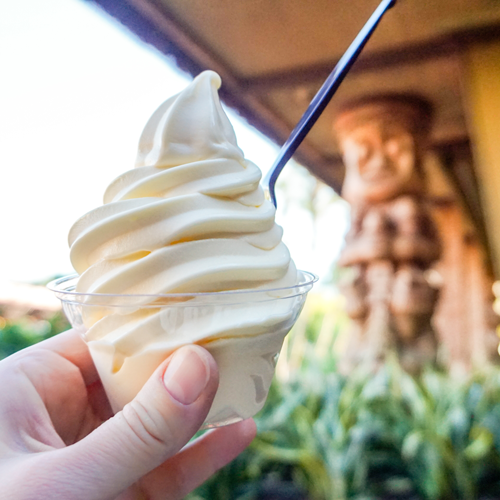 We ordered our pineapple dole whip from Aloha Isle in Adventureland on the app. Then when we went to pick it up, we could skip the long line. This is huge when you have hungry toddlers! This goes along with your planning. Although Disney does a great job of creating interactive waiting lines, kids can get antsy. Taking advantage of your Fastpasses+ helps reduce wait times. We also took advantage of the extra magic hours. If the park opened at 8 AM for guests staying on Disney property we got to the park early. Then we could hit some of the top rides right away with limited wait times. We also did TSA PreCheck at the airport to skip some of those long security lines. Another perk of staying on property, we rode Disney’s Magical Express to our resort hotel. We didn’t even have to wait for our bags! They brought them to our hotel room a few hours later. We knew we wanted to get to the park right away that day to miss some of the pre-Thanksgiving rush so we checked in to our hotel on the My Disney Experience app and within a few minutes were in our room. Disney has also partnered with Lyft to provide Minnie Vans. If you are in a rush and don’t want to wait for a bus or boat, grab a Minnie Van to one of the parks. It’s so easy, super convenient and the vans are adorable. So that is is, our ultimate guide to Disney with preschoolers. 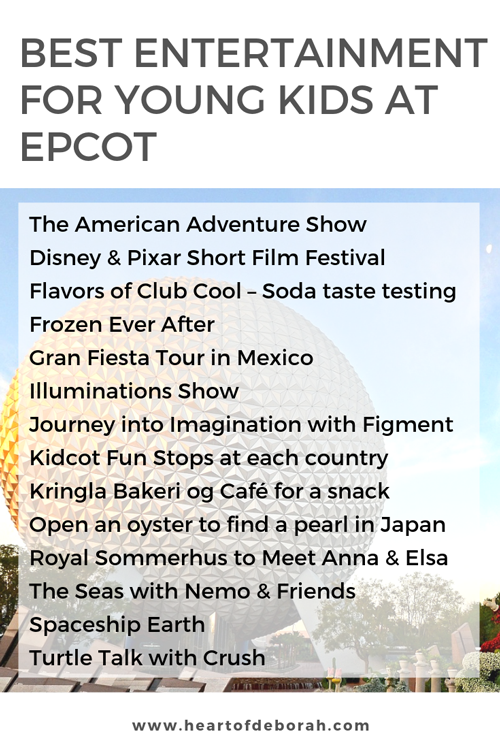 You can see some of our must haves below as well as our list of favorite activities for each park. 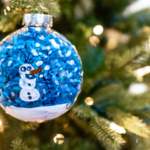 Are you planning a trip to Walt Disney World? I’d love to hear your experiences and tips in the comments below! Thank you Walt Disney World for partnering with us and providing complementary Park passes for the day! 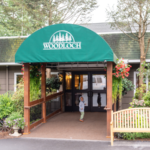 Our Visit to the #1 Family Resort in America!